Steve’s Imports is an auto repair shop with a focus on total maintenance, service and repair of any foreign car. We know our customers love their imports as much as we do. For customers who want to make sure their import ends up in good hands, we keep our service international. 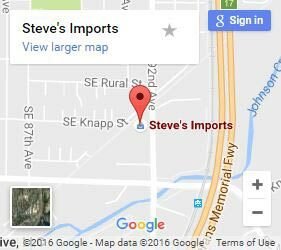 For customers that want their all their import car service done in one place, look no further than Steve’s Imports. Because no matter what you need done, our shop can provide the level of service your import requires. From checking out that noise you noticed on the way to work, to full engine overhauls, our guys are ready to get their hands dirty. Complete motor and mechanical repair. Been in an accident? Steve’s Imports provides complete restoration to return your car to its pre-crash state. We’re perfectionists who just can’t stop until we have every panel on your vehicle’s body sitting flush. 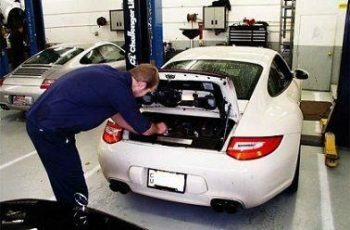 If your vehicle was involved in a fender-bender or got dinged in the parking lot, Steve’s Imports has I-CAR trained and certified body technicians on staff. We don’t compromise on quality and with us, dents don’t stay around for long. For larger body repairs, the work isn’t complete until we get the car repainted. Much of the time this step can be avoided by getting the factory panels from the manufacturer. But for older vehicles, sometimes full repainting might be necessary to take care of a color mismatch. Some our customers might not know this, but Steve’s Imports got its start by bringing old cars back to life. For any classic import that needs the attention of a team of mechanics who know classics, we’re ready to do everything it takes to bring back any foreign car from generations past. New or old – if you’ve got a foreign vehicle of that needs body work or engine repair, or you just want to come chat about cars with our guys, Steve’s Imports is ready to help. Our experience is hard to beat. With over 40 years in the industry, our team has worked on virtually every kind of import. 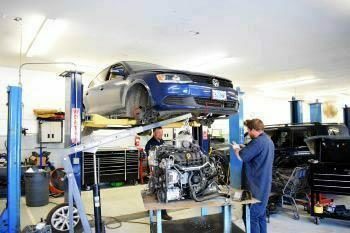 All of our mechanics are ASE-Certified and our team operates on clear communication and full transparency. Our customers always know what’s going on with their car. For repairs to any foreign vehicle, bring your car into Steve’s Imports today.